Emergency Vs. Maintenance Repairs for Utilities. With populations rising throughout towns and cities in the United States there is a growing need to improve the nation’s water and wastewater infrastructures. Reliable water provisions are needed for continued development and sustenance. At the same time, it is necessary to properly discharge wastewater clinically and efficiently. Much of the inadequacies with water and wastewater assets are blamed on outdated infrastructure since a majority of water delivery and wastewater discharge systems date back to years shortly after World War II (Report Card for America’s Infrastructure 2013, ASCE). Budget cuts, shrinking revenues and staff reductions make it a challenge for utilities to tackle inefficient infrastructure. With political and public pressure mounting to operate more efficiently and become more sustainable, utilities are turning to proactive asset management programs in order to make more informed decisions and prioritize budgets. 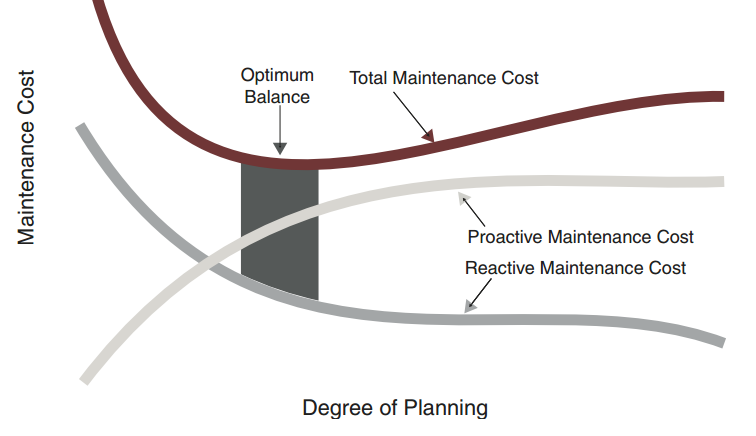 Proactive asset management programs can eliminate the need for emergency repairs by maximizing planned maintenance. Emergency repairs typically cost 5-10 times more than scheduled maintenance repairs. These programs can bring transparency to the operations process in the water and wastewater industries by making sure management and field personnel are on the same page.